Intra-cytoplasm sperm insemination (ICSI) is a modified form of in vitro fertilization (IVF) in which a single sperm is injected directly into the cytoplasm of a mature egg, thus bypassing all the preliminary steps of sperm binding. This procedure is most commonly used as a means of overcoming male infertility problems, although it can also be used in cases where eggs cannot easily be penetrated by sperm. 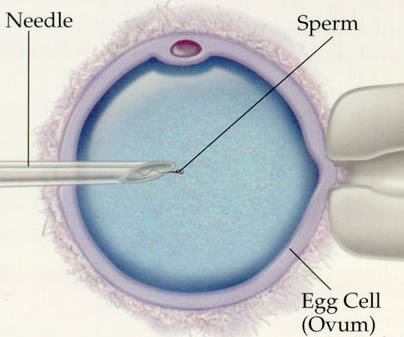 ICSI is different from IVF, where the process of fertilization is carried out in a test tube. ICSI significantly increases a woman’s chances of having a baby, especially if the infertility problem is related to a low sperm count, poor quality sperm, or a lack of sperm cells in the sperm. This procedure can also be used if you are affected by HIV or allergic to your partner’s sperm. Intra-cytoplasm sperm insemination is a well-established microinjection technique that has resulted in additional assisted reproductive technology options for couples struggling with infertility problems. A major benefit of ICSI over conventional IVF methods is that the procedure only requires one sperm to fertilize each of the woman’s eggs, so the fertility treatment is still possible if the number of sperm is very low. Here at GREFI, our fertility specialists offer ICSI services and other assisted reproductive technologies to patients throughout Puerto Rico, so contact our clinic to discuss your treatment options.